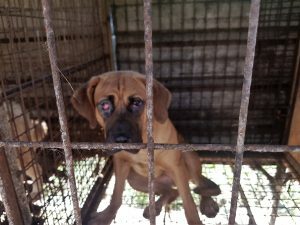 Home / Blog / Gimhae, South Korea, Shut down the illegal dog meat farms, slaughterhouses and markets. In Gimhae, there are countless dog farms, slaughterhouses, markets and restaurants where the dogs, who are tortured their entire lives, end up being slaughtered in the most inhumane ways, such as by electrocution, hanging or beating; and then thrown into boiling water – sometimes while they are still alive. In many places, dogs are being killed in full view of other terrified, caged dogs; and this takes place in broad daylight. In addition, many abandoned and stolen former pets end up in this industry, and are subjected to the same cruelty. Please sign petition, call, write and email the Gimhae Mayor and the City Council TODAY! Subject: Gimhae, South Korea, Shut down the illegal dog meat farms, slaughterhouses and markets. 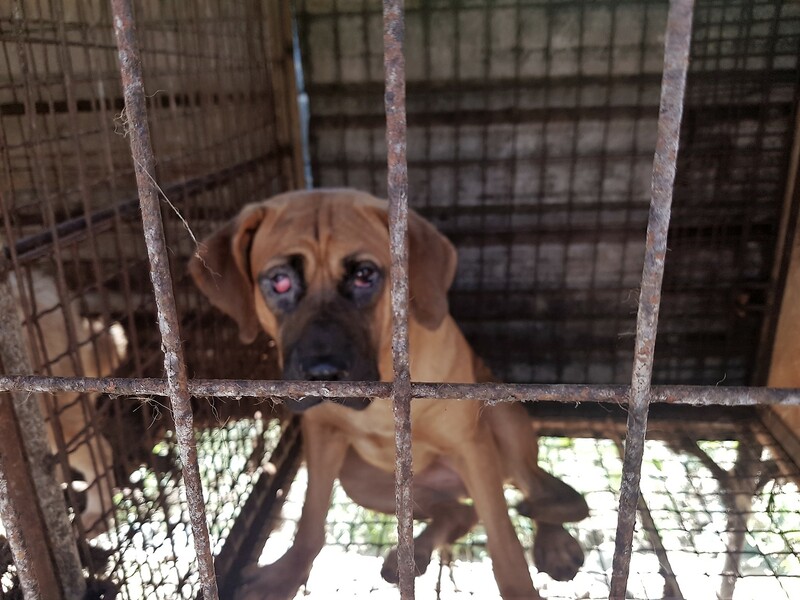 Petition: Gimhae, South Korea, Shut down the illegal dog meat farms, slaughterhouses and markets. This torture,murdering and eating of Dogs is total non-sense and Must STOP IMMEDIATELY!!! GOD Created ALL His Creation Beautiful and Precious, we ought to treat others including ALL Animals with Love, Respect and Care at the very least. ALL Lives are Worth Living! Demand JUSTICE and HELP for the Dogs in Gimhae and all of South Korea!! All forms of life need to be protected, cherished and respected. If we humans with the thinking power are so pathetic to inflict pain and torture on the voiceless and to derive pleasure from it, we are not fit to survive on this planet. To date we have caused endless destruction and immense pain so it is high time this stops.